But only last week, noticed by Tollcross Community Council and others the TV is back on and is tuned in to stay on. 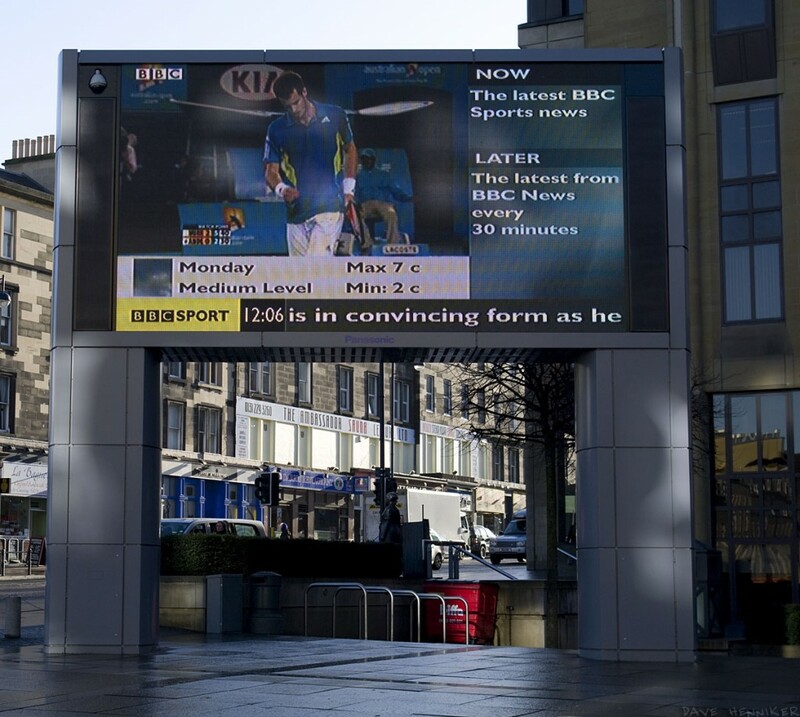 In the Edinburgh planning list the following item appeared: 14/00081/FUL | Erection of television screen at Festival Square in retrospect for period to 31 December 2014. | Land At Festival Square Edinburgh – view the application here. It would seem that this eyesore in Festival Square, which more often than not is broken and not even running, is now set to be run by a private company to push adverts to passers by. Tollcross Community Council had objected to the placement of the TV in the first place, have again written again to the Council to object. Whilst some of the high profile BBC content has been popular, this has beenfairly infrequent; in general the screen is not watched most of the time and constitutes audio-visual pollution. The company seeking to gain permission (SIS Digital) specialises in big screen advertising and may be able to show some sporting content. A large audio- visual advertising hording in this place is unwanted by local residents. I don’t think BBC are allowing coverage on it anymore, but you might check with the Council if they have plans to but I’ve heard nothing.